If you pay attention to TV commercials, internet wellness websites or the aisles of your local health food store, then you know that probiotics have become the next big health trend. For decades holistic and natural doctors have prescribed probiotics for C. diff. infections. But only in the last few years has mainstream medicine payed any attention to these popular supplements. 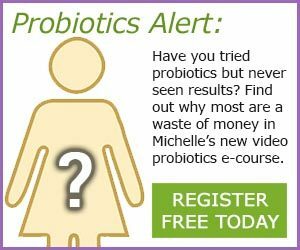 But what exactly are probiotics and how do they work? And is it worth taking probiotics for C. difficile? Recent discoveries by the Human Microbiome Project (HMP) have allowed scientists to begin understanding the microorganisms living inside the human body and how they work. New research reveals that your “microbiome”, or all the species of microorganisms living on and inside you, have a profound effect on your health and on the development of disease. So far, several thousand different species of bacteria, fungi and other microorganisms that can make up your microbiome have been discovered1. There is also mounting evidence that many chronic diseases like IBS, Crohn’s, asthma, obesity and even mental health disorders are associated with the disruption of the intestinal flora. The HMP is also studying differences between healthy and diseased individuals and have found that the human “ecosystem” can also be affected by different medications in addition to antibiotics. An astounding 80% of your immune system’s function is directly related to the health of your microbiome. Antibiotic use leads to a less healthy internal flora that can lead to gut infections like C. difficile. Probiotics play a pivotal role in maintaining your immune system and defending your body from infections. Having a healthy balance of intestinal flora and a strong immune system can make the difference between catching a life-threatening infection or not. And taking a good probiotic can make the difference between a speedy C. diff. recovery and a slow one. Your ancestors got all the probiotic organisms their bodies needed by living close with nature. They were exposed to probiotics through hunting, growing their own food and living off the land. But today most people have become separated from the land. Most foods are pasteurized, cooked or sterilized, effectively killing any probiotics they may have contained. Few people consume naturally fermented probiotic foods like sauerkraut or kefir. And people are constantly exposed to a huge array of toxic environmental chemicals and high levels of stress that make it harder for health promoting microorganisms to thrive inside the body. The simplest way to get the probiotics your body needs is through supplementation. Taking a probiotic supplement that’s sufficiently potent and stable and that has the correct species of microorganisms can provide life-changing benefits to your health. Probiotics are especially important if you have a history of C. diff. infections, recent antibiotic use, or a weakened immune system. Find out about probiotic quality myths and the pros and cons of different kinds of probiotic products. A framework for human microbiome research, The Human Microbiome Project Consortium, Nature 486, 215–221 (14 June 2012).